Back in August of 2013, my husband and I went on a holiday/research trip (for “The Cardinal“) through parts of Norway, and we came across an amazing site: Eidsborg Stave Church and the Vest-Telemark Museum. 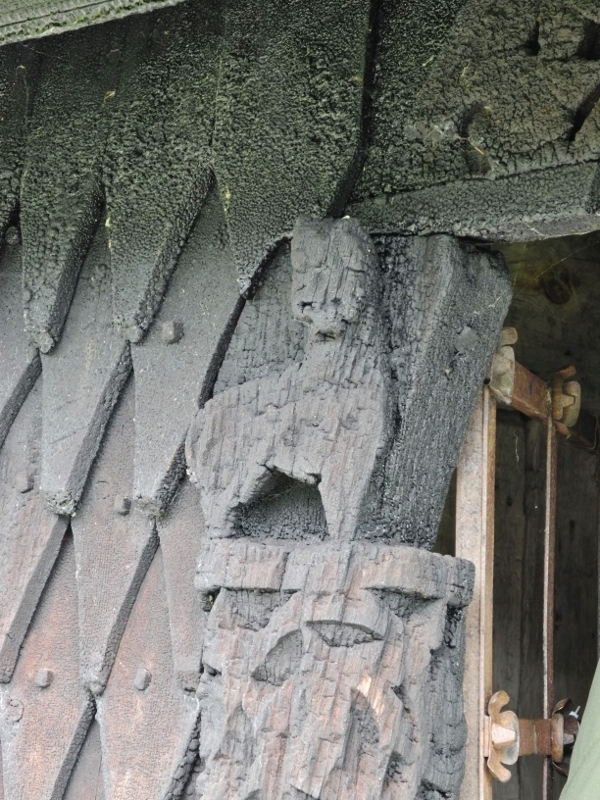 We went to Eidsborg with the intention of seeing the outside of the Stavskyrkje (stave church) there on our way to the Heddal Stave Church; instead, we spent swift hours there! It started off with a private guided tour from a local guy (“local” meaning his family has lived in the area since the 1300s), who was both understandably proud of the local history and knowledgeable, as well as enthusiastic. 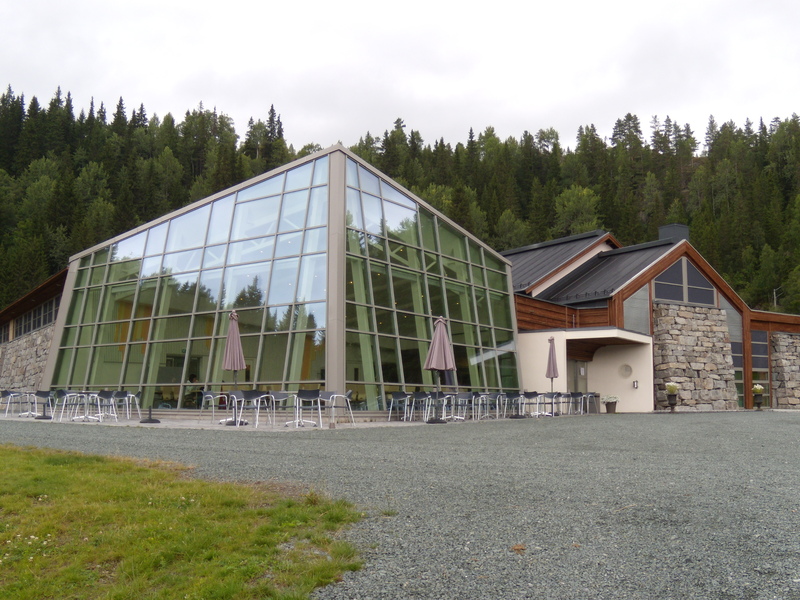 The museum itself is modern, beautiful, excellently staffed and convenient, with free wireless connection, a cafe and a gift shop, but most importantly, an extensive exhibit of the history of Vest-Telemark. The rural life from the late 1700s to 1900s is colourfully laid out, with printed information sheets at each station in Norwegian, English and German. There’s a strong sense of pride in local culture, and you can breathe in the history of the place. Literally. The buildings on the property, some of which you can enter, live and breathe the lives of those who lived there; the musty smells of old leather, damp earth, mildew in the wooden and thatched walls and roofs, the smell of pine wood, the turfy aroma of the blackened pitch-coated walls of the Stave church itself, and the sight of dusty sunlight streaking in through wallboards into the barn, the smithy, a cottage, storehouse, stable, or the mill. There was even a sauna, built around 1895 (saunas weren’t used back then as they are now; they were places to dry grains for storage or to steam out fleas and lice from fur rugs and coats). 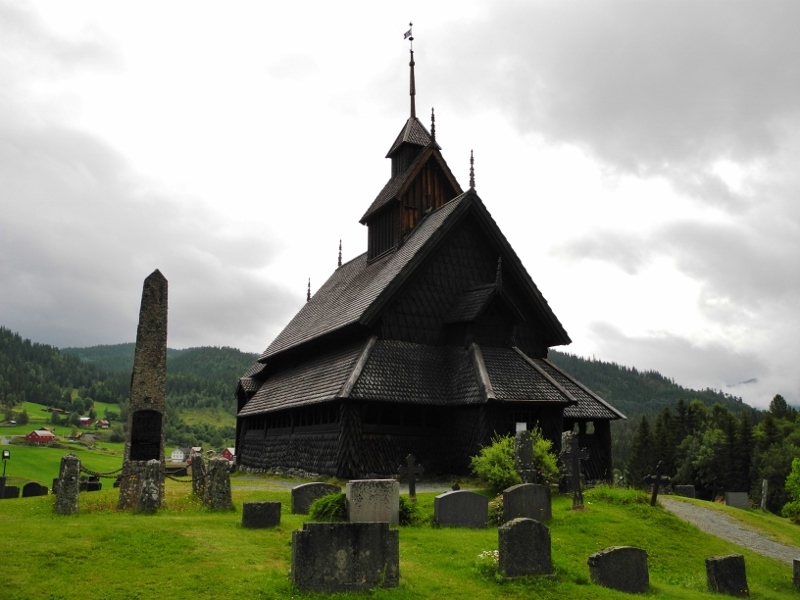 The church is typical stave construction: The staves are corner pillars used to support the edifice, and the interior of the roof uses the same skeletal structure as the Viking longboats – if it works (and those ships worked better than anything on water for centuries), why change it? The inside of the church is rich in history: Carvings from the 1200s, intricately painted walls from the 1600s, a statue of the patron saint of travellers (St. Nicholas of Bari) watching from the corner (as an antique replica – the original is in an Oslo museum), and the dusty light of sunlight peering through small holes near the upper beams. The latter mainly served to provide a bit of light as well as fresh air: Candles could only be afforded for the clergy, so it would have been extremely dark without those holes; sermons went on for hours back in olden days and there were no seats until the middle ages. Everyone in the parish was required to come, punishment or humiliation being the course of the day if they failed to appear for service, and in the tiny space allowed inside the original church, it would have been standing room only, packed in like sardines. If someone fainted from lack of fresh air, it probably wouldn’t have been noticed until everyone filed out. Today there are pews, and it is used weekly as the parish church through the summer and autumn; it is closed for service during the colder months as heating it would cause decay of the paintings and interior woodwork. Wooden-shingle clad from the ground up, it gives the building the appearance of dragon’s scales, and having been coated with thick pitch for centuries, it looks quite as if it has been charred; it smells wonderfully peaty, like a strong dark whiskey, and on a sunny day you can smell the aroma a good distance away. The gallery along three sides of the church reveals many interesting details, from the wooden spikes used to nail the shingles to the roof to the outer curve of the stave pillars jutting out into the gallery. It’s living, breathing history, and a pleasure to have been there. I just returned from a long weekend away with my husband in Bilbao, Spain. I say that with trepidation, as, according to many Basque people, it is not Spain, but Basque Country. There are some who are content to remain part of Spain and France, and others who want independence, so when in Basque Country, say it the Basque way. Guggenheim Museum: The building itself is well worth the visit! The architect, Frank Gehry, literally designed the building on one of his free-form doodles. With only one straight wall that I could see, I can imagine that he was doodling when the phone rang and made his hand jerk, causing the straight line… it’s an engineering feat, to say the least. Just outside the Guggenheim are several sculptures, notably a giant dog made of flowering plants; it was intended to be a temporary display, but the people of Bilbao fell in love with it, and it’s now a permanent landmark. There’s also one for us odd arachnophiles out there, a giant spider. Two sculptures look like they’d float away, even though they weigh tons: “Tulips”, and a tower of balls. The weather was perfect, so we took a “Bilboat” tour down the waterway; it gave us the chance to see areas of the city which are usually far from the tourist route; areas that are in the throes of rejuvenation and restoration. Pintxos: You can’t go to Basque Country and eat in a usual restaurant! You need to go (what my husband and I dubbed) “Pintxopping” – like pub crawling but for a Pintxos (“Pinchos”) dinner. They are similar to Spanish tapas but far more elaborate; 5-6 will make a meal. 12 Euro will get you 6 Pintxos and a pint of beer. Any Pintxos bar worth their salt will spread out a wide variety of the treats along the length of their bar, and diners choose a selection of hot and cold delicacies. Bars pride themselves on signature creations; one bar we ate at had a mound of crab meat baked under a layer of squid-ink-tinted cheese, in the shape of a regional mountain. Most are served atop toasted slices of Baguettes, though there are also many on skewers, or served as spring rolls. If you’re now hungry, sorry about that – but you can find recipes all over Pinterest. Language: The Basque language (Euskara) is a language isolate – in other words, it is unrelated to any other known language. Within language families, one could interpret this or that word based on a known relative language, e.g. between English street and German strasse. But looking at a road sign in Bilbao, you would have NO clue as to which word is the street name, and which is the word for street, road or path. Unless you know Basque, you would have no chance of interpreting anything – even if the context is known. An example sentence from the article on Wikipedia illustrates that point: “Martinek egunkariak erosten dizkit” means “Martin buys the newspapers for me”. It is the last remaining descendant of one of the pre-Indo-European languages of Western Europe, with every other language that might have existed in relation to it having gone extinct, so there’s no way to decipher it based on a comparative method, linguistically. It may have been related to the Aquitanian language, which was spoken in the region before the Roman Republic’s conquest in the Pyrenees region, but the exact origins are unknown. It’s a fascinating study, if you’re interested! Take a moment to stop what you’re doing, and close your eyes: What do you hear? A tea kettle? The hum of your computer? a television? A car driving by? All of these sounds tell you something about your environment: That water is boiling; that your computer is working well, or struggling, or processing something that makes it slower at the moment; that someone, perhaps in another room, is occupied; that traffic is flowing, or that it might be dangerous for children outside at play. Now take away all those sounds. It can be disorienting; it makes you feel insecure. It also makes you more alert to other environmental cues, and to your other senses – particularly sight. If a person mumbles, or turns away, or moves their hand across their face while speaking to a deaf person, communication is disrupted. People can be sensitized to the challenges, but can architecture? Yes. It can be made suitable for various perceptions and perspectives. When I lived in Scotland, I translated regularly (BSL) for the deaf in our church, and would hang out with deaf friends sometimes. Some of them lived in a flat complex designed for the visually or auditorily-impaired, with bold red counter tops, light switches and phones to help them navigate, as well as light signals for various things such as the door bell or the phone ringing. The deaf sports club was a wide-open space, with room for a large crowd to chat in groups; as a hearing person, it was a unique experience to be in a crowd of signing people: There are few secrets in the deaf community, because even across the room one can understand the conversation; and though we were all signing, it was not quiet – sounds made with the mouth to support the sign, or the slap of skin on skin, or a laugh, or the shifting of clothing could be heard. Look at the layout of your room, or office: If your interaction with the people around you needs to be visual, what could potentially hinder it? A solid wall, a glaring light fixture, blind corners, stairs (which must be focused on, to navigate), or a narrow passage that makes it difficult to walk side by side, signing. Deaf architects have begun incorporating their unique considerations into designs, and they not only offer a unique perspective on architecture but, by doing so, have created some stunning spaces: Deaf Space. To see a short video on the topic, please click here. Do yourself a favour, and watch the video at least once without sound. Below are a few images of deaf space from Google Images. As a writer, it is always fascinating for me to explore new perspectives, and to try to see the world around me through the eyes of others; doing so enriches the writing experience, and opens new possibilities in developing characters, environments, or situational elements. 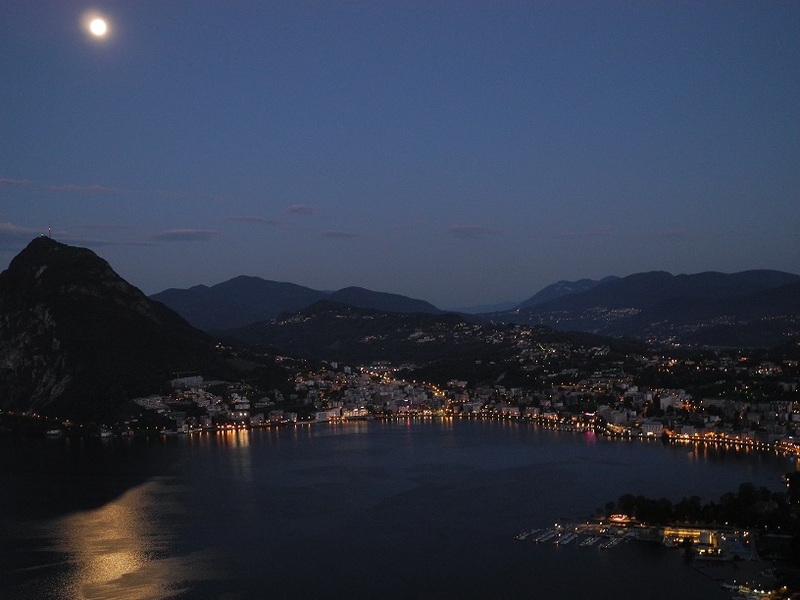 Lago di Lugano, Switzerland, with San Salvtore beneath the moon. 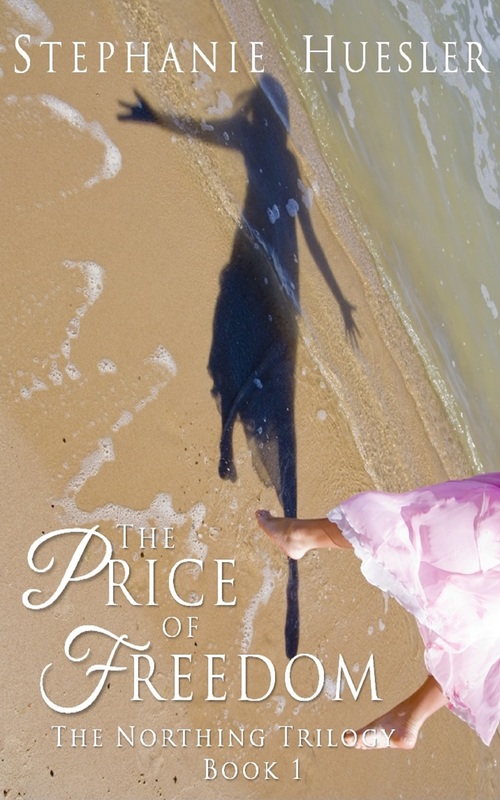 I’ve been absent from posting for a few weeks now, as I was away on holiday and I left most of my writing at home. Most. Last summer I wrote you the first Postcard from Lugano; and I will say that not much has changed. It’s still beautiful, with lazy hot days with a cool breeze coming off the lake, and warm evenings with glistening stars overhead and a glittering city below. This first photo was taken at about 4 in the morning (I have no sleeping rhythm, which is handy when such scenes present themselves). 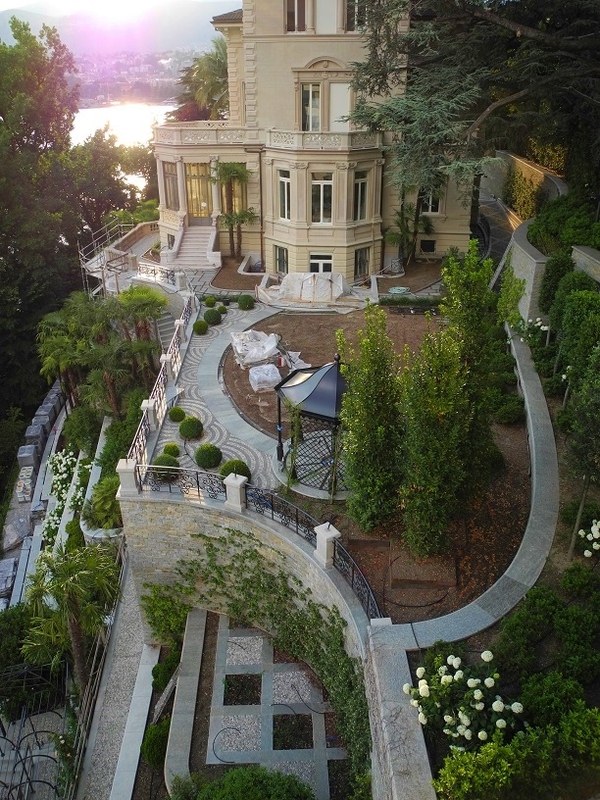 Villa Helios: The back of the mansion with the terraced walk leading toward the lake. Under renovation. But as I told you, I left most of my writing at home – not all. 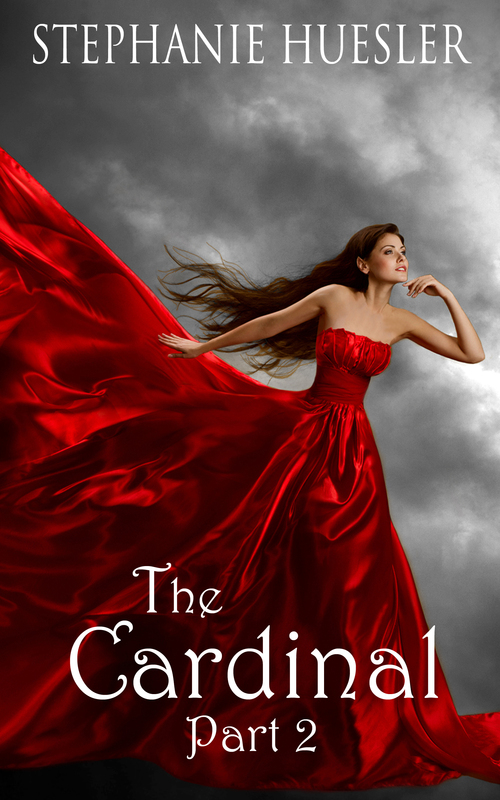 When in Lugano, I’ve been working on a novel the past few years; it started out as a fun idea to explore, and gradually developed into a more serious endeavor. I thought I’d share it with you as it may inspire you to take on such a writing project of your own on holidays (it may not classify as travel writing per se, though in some ways [like my postcards] it may at times take on those characteristics): Our family flat overlooks a sprawling mansion that we have watched decay from neglect for over 20 years; it was most likely trapped in an inheritance dispute. 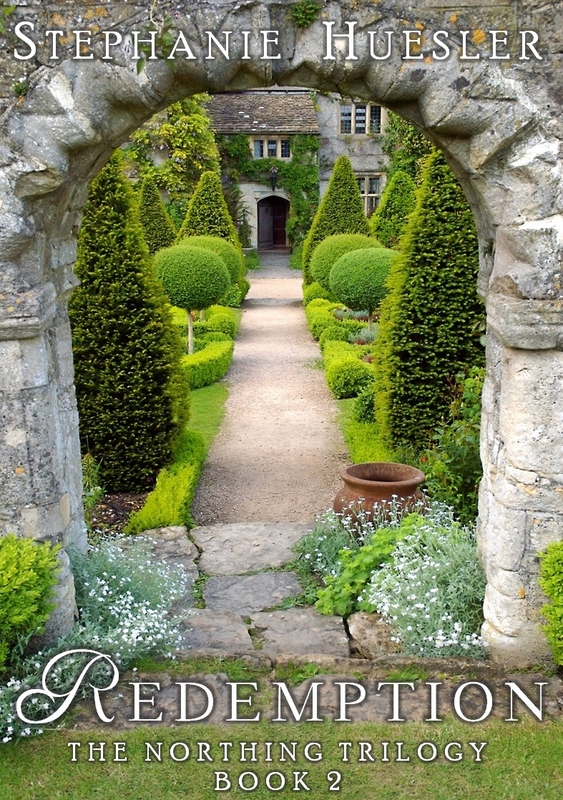 It had been boarded up, its windows bricked in, its magnificent garden going wild until it was an impassable jumble of green. About three or four years ago suddenly a crane was set up, and renovations began! Of course it sparked my writer’s brain – who had inherited it, or purchased it? What was its history? From the looks of it I will have several more years to ponder its end as the renovations continue; but by now the gardens and the terraced walls have been brought to life, a new drive laid with mosaic stones, and the house itself has been set free of its bricked-over, blinded windows, the roof replaced, and the beautiful stones (I would venture to guess Bath Freestone) sand-blasted and cleaned to their pristine beauty. Villa Helios, as seen from our balcony. 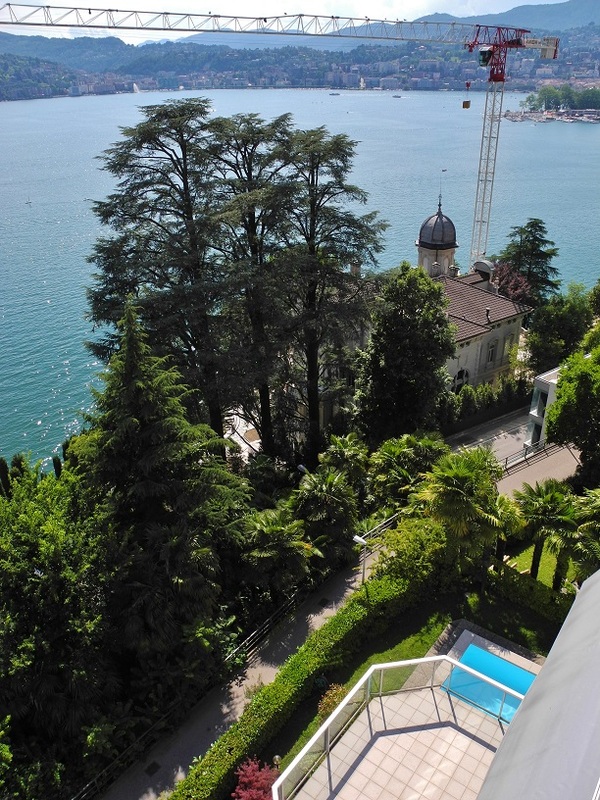 Called Villa Helios, it was designed by architect Otto Maraini, who was born in Lugano on 8 November 1863 and died there 16 January 1944. Villa Helios in Castagnola was built in 1901-1902, including a series of walls and terraces that formed part of the lake shore. I came across a few historical photos at arteeidee – thank you to them for sharing the old magazine photos (“The Modern Building” monthly magazine of architecture and construction practice, August 1904)! Check out that blog post for the older photos (click on them to enlarge); The photos I’ve added here are current shots. I’ll just say two things about the crane: Note the box hanging from it, near the vertical shaft – that is the tool crate, hung up at the end of work days to deter construction site thieves. Also, though the crane interrupts our view of Lugano at times (it shifts freely with the wind when not in use, so sometimes we barely see it), it gives us a brilliant view of birds that take over when the workers are gone – there’s a constant conversation between the seagulls and the Hooded crows. I’d love to do more research on this building, but most of the information is in Italian, which I can fight my way through only passably, but as I said I still have plenty of time. That’s the beauty of holidays. To you writers out there: Find an interesting old building in your own area, research into its history, and create a story with the building as one of the characters and not merely a location.